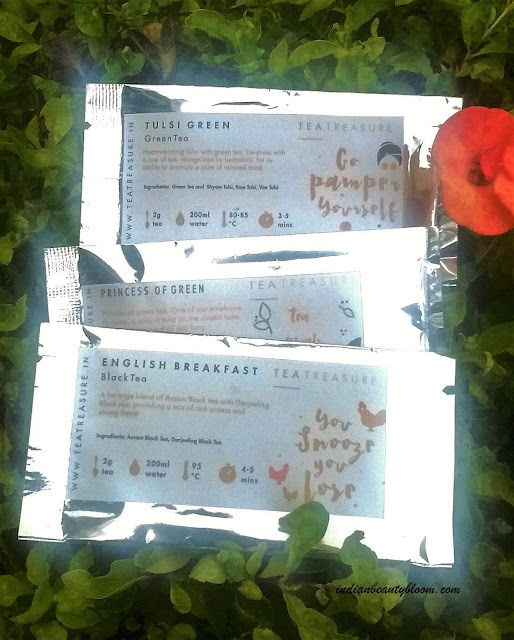 It’s Tea Treasure : A Heaven For Tea Lovers . Tea is not just a drink , it’s more than that , helps to come out of morning sickness & laziness , refreshes mind & body , Healthy tea like Green Tea , Tulsi Tea , Lemon Tea are good for health as they have anti oxidants , are anti inflammatory and helps to strengthen immune system. So it’s very important to chose right kind of tea which can helps us to stay healthy & happy . Recently I came across this brand Tea Treasure , which is an online store to buy variety of tea . I was amazed to see vast collection of premium teas . Starting from Green Tea to Kashmiri Kahwa they have every thing . English Breakfast 🙂 and many more . 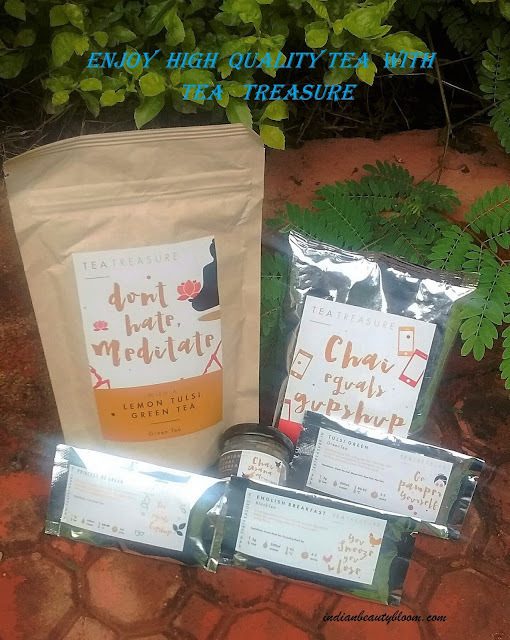 I have tried some variety of teas from this brand and in this post I am going to share my experience of having those teas . This is a type of green tea with Lemon & Tulsi both . Tulsi has anti bacterial , anti septic , anti viral , anti inflammatory properties . This tea is also known as Thai Lemon Basil and has a soothing taste . 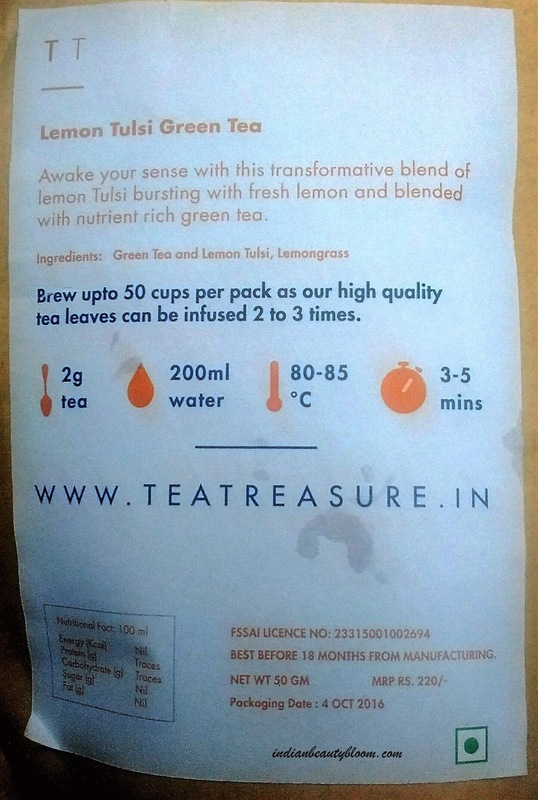 I liked its taste , Something similar to normal green tea we take but with a nice flavor and aroma . It’s from the highland of Assam infused with some other herbs . It’s a Luxurious Beverage with a unique taste . Is rich in antioxidants . Can be taken with milk to make a perfect tea . 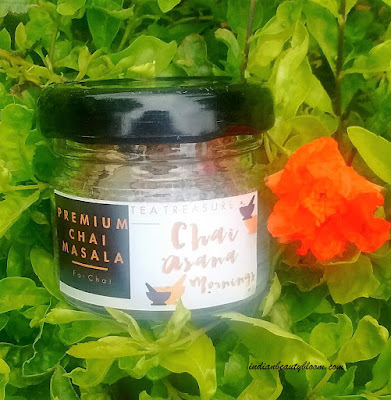 It’s a Chai Masala with Cinnamon , Cardamom , Ginger , Black pepper , Clove and Nutmeg . It’s rich in antioxidants and helps in digestion . Price : Rs 170 for 50 gms . This is a type of Green Tea , gently steamed and rolled for a fresh delicate taste . It improves inner alertness and concentration . Price Rs 260 for 50 gms . 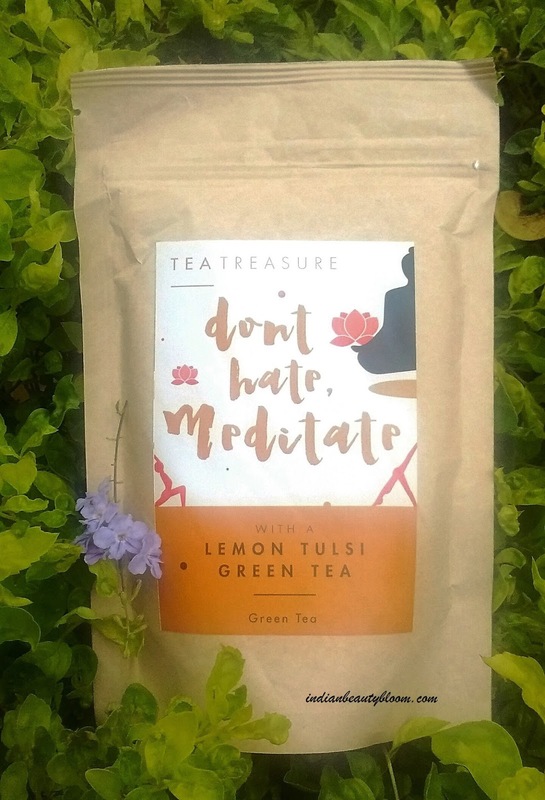 This tea contains Tulsi , Lemon peel , Lemon Grass , Pure Green tea . It guards against cough and cold . Eliminates toxins from the body and improves immunity . Price : Rs 220 for 50 gms . 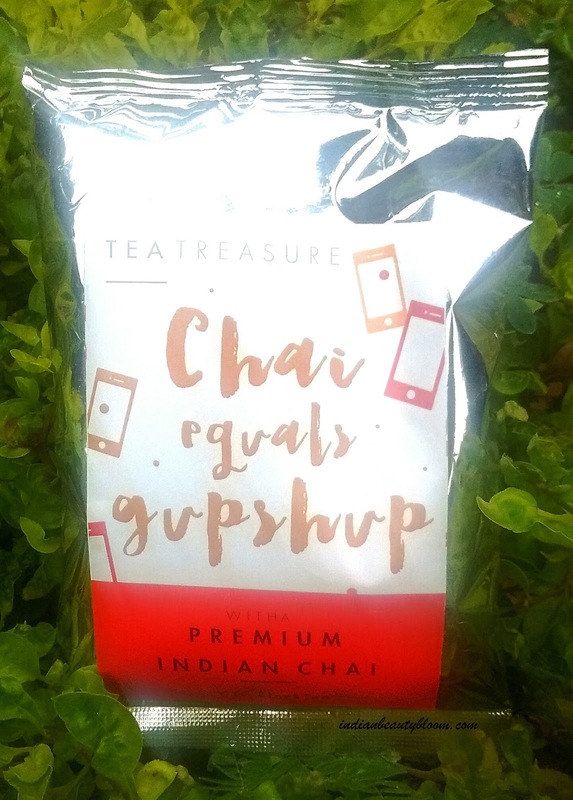 It’s a rich fusion of Darjeeling Tea and Assam Black Tea . It’s rich in antioxidants . Has strong flavors which soothes ones nerves . I am drinking all these wonderful teas these days and my favorite one is premium chai masala .